Printable piano chord chart for an easy way to help piano keyboard students remember major and minor chords -- group them into look-alike "families." Call the white-note chords "Snowman" chords; the black-note-in-the-middle chords "Hamburger" chords, and the black-on-the-outside, white-on-the-inside chords "Oreo" or "Ice Cream Sandwich" chords. The second graphic, shown below, demonstrates how I hand-draw little circles above the chord families. Sarah in Australia made the PDF printable copy of the chord chart below - thank you, Sarah! These cute names are actually not my own ideas, though I use them all the time with my students. 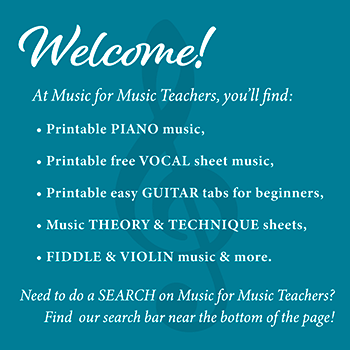 They come from the piano theory books of TCW Resources, voluminous and thorough theory books with lots of really fun worksheets and good ideas. (TCW Resources now seems to be selling their materials at Kjos Music...) They also have different sets of card games that illustrate the chords on my keyboard chord chart. Improvise with the chords to build familiarity. From their known list of piano chords, I like to ask keyboard students to choose 3 or 4 chords and make up a pattern or a song. This can be a fun way for them to get to know chords better. I find ostinato patterns work the best, and I usually take this approach: we list piano chords, decide on the order, then repeat endlessly! I make up a melody based on harmonious or matching notes, then we switch places. One thing that really stands out to them with this music chords chart, once I pencil in the circles, is that the B chords are wacky! Each one is unique. With the B chords, a common saying in my studio is, "White on the bottom, black on top. Black on the bottom, white on top." I draw these chord shapes on assignment sheets all the time. Later on, when the kids are learning to do inversions and they have forgotten what the root position of a chord looks like, it really helps for them to have the 3-dots drawing scribbled on their lesson assignment sheet. Jogs the memory. 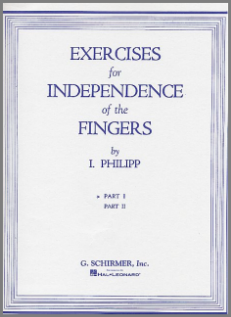 Piano chord theory is SO IMPORTANT to becoming an able player, that every helpful device or tool should be utilized! I hope you find this printable piano chords chart helpful in your music studio! I used to teach piano lessons, and then did not for a number of years. Now, suddenly, I have 3 beginning students and I am thrilled. I was looking for printable scales and found your wonderful website. Thank you so much. I know this will be a big help to me and my students.